My first attempt at selling records was a good one. I had wrapped up my visit at the Thrift Store and as I was walking out the door, out of the corner of my eye I saw a Beatles Album. There were a bunch of them, so I took a shot at $1.00 each. A nice little profit of $87.72 before fees. They sold for $28.99 & $20.50 individually. Ship records in the USA via USPS Media Mail. Invest in some boxes specifically made to ship records. They are a pain to ship if you don't have the right box size. This looks like a pretty good deal. 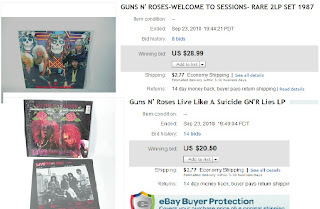 If you want to learn more about Selling Records on eBay you should join us over at Virtual Online Learning We will be having an online meet-up this Thursday Evening Oct. 7th at 8 pm Eastern time about selling records on eBay. So far there are about 30 people attending, so you know you will learn a thing or two. The time is NOW to list something "Pink" on eBay and donate to a Susan G. Komen Affiliate from YOUR area! eBay sellers can list items supporting the cause directly on the "Sell your Item" form just below where you enter in your Starting price. If you do NOT see this on your "Sell Your Item" form then your settings need to be adjusted. Once you are ready to donate a percent of your listing to a nonprofit I suggest you find a local Susan G. Komen affiliate from your area! 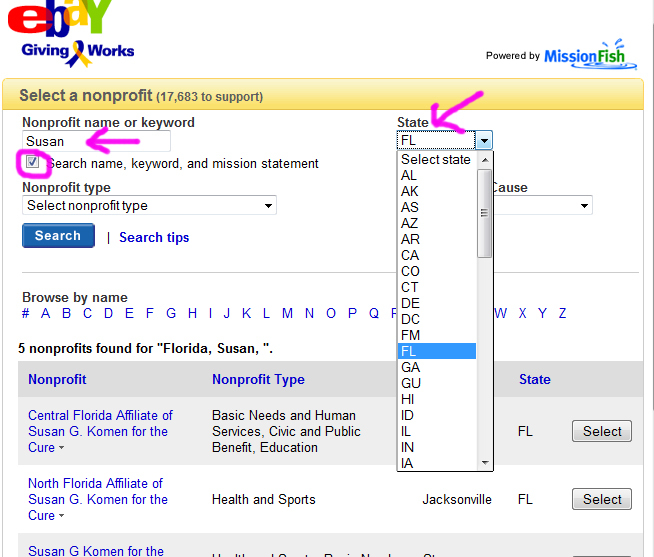 To locate one from the Sell Your Item form, above the Donation percentage click on "select another nonprofit you love!" Now you can easily list your PINK items to help support this cause YEAR round in addition to right now during this worldwide event as we all try to find a cure for this horrible disease. NOTE: if you are a nonprofit feel free to contact me and I will help you get your nonprofit registered with eBay Giving Works so you too can be listed in the master directory. OK, if you haven't heard by now this is the hot toy for Christmas 2010. Sold out online at Fisher Price, Toys R Us, and Walmart. Remember Zhu Zhu Pets from the 2009 eBay Holiday season. Retail is $12.99 each and already on eBay they are selling on avg $21 each. It is still early, so if you happen to come across some you might want to hold off until the end of November to list them.